130 Aztec is located off junction 16 of M4 / M5 intersection making it ideal for any company requiring immediate motorway access and overall convenience. Trym Lodge is located two minutes from junction 17 of the M5 making it ideal for motorway access and only three miles from the Bristol city center. 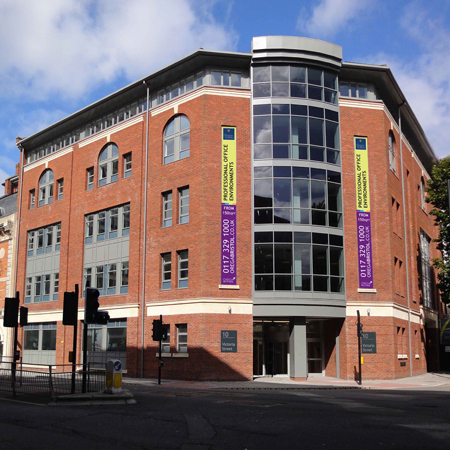 St. Brandon's House is located in the heart of Bristol's business district but benefits from on-site parking and visitors parking. Easily accessible to the M32, M4 and M5 and located near Bristol's rail links as well as the international Airport, this convenient business centre has it all.